Voice-over Internet Protocol (VoIP) is a technology that lets you take a standard analog phone signal and turn them into digital signal that is transmitted through the Internet. When engaging in a phone call using voice-over IP, the connection between the communicating lines is handled differently from the way how a traditional phone call is processed. To fully understand how VoIP technology works, let’s see the steps involved in transmitting voice from caller to the ears of the receiver(s). This is the step when the system acquires your voice. The sound itself is the compaction of air at different frequencies. The microphone, whether it’s the one attached to the headset or a standalone, captures the voice in analog format, which is represented in sound waves. 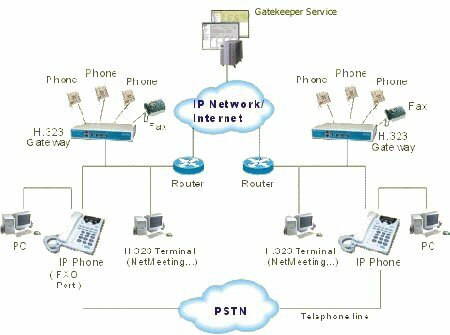 If you need pbx phones for calling in Singapore and overseas, you might want to consider another solution. The captured voice is converted from analog to digital through the analog-to-digital converter (ADC). In the analog format, the voice is continuous with an infinite number of values; while in digital, it has quantized values. The ADC does two tasks to the voice acquired, taking samples of sound signal and giving binary value to the sample, which determines the quality of the sound resolution. Typically, voice sampling is done 8000 times per second, which is represented as 8 KHz. If each sample uses 8 bits, the bit rate is 64Kbps. This step is done to reduce the bulkiness of voice signal in digital format and thus requires lower bandwidth in every transmission. Compression is done by a digital signal processor (DSP) and involves reducing of required number of bits to send voice signal. This step affects the quality of the voice, which is measured with the use of MOS score. Unlike PBX phones, the compressed voice signal is then divided into several packets of data that are sent over the network. The data from the DSP requires more information to make it complete before it reaches its destination. This information added to raw data is what we call the packet signatures. Packets are formed in three levels. Every time a packet is formed at a level, it is proceeds to the next level. At IP level, packets are set. They contain data that lets them move over the network. Next, the packet data are further set into the unified datagram packet (UDP). The UDP protocol pushes the UDP packet to the network. Whether the packets get lost or reach the destination, there’s no control over that. At the last level, the missing reliability and control of UDP is supplied by the real time protocol (RTP). The RTP makes sure that the data reaches its destination, that they’re not delayed, that everything is synchronized, and that they arrive and assembled in order. The completed packets are now ready to be transported over the network through the VoIP using packet switching, meaning the packet data find their own routes over the network to reach their destination. After the packets are received at their destinations, they are put in order and reassembled back into their original data format. Digital signals are converted back to analog format using digital-to-analog converter (DAC). The signals have to be converted back to its original state in order for it to recompress the air to reproduce the sound. Earphones, headsets, and speakers perform this job. Your voice is finally replicated when it reaches the ears of the person you’re talking to over the line. The long process the packet data has undergone will likely cause a slight difference in quality. 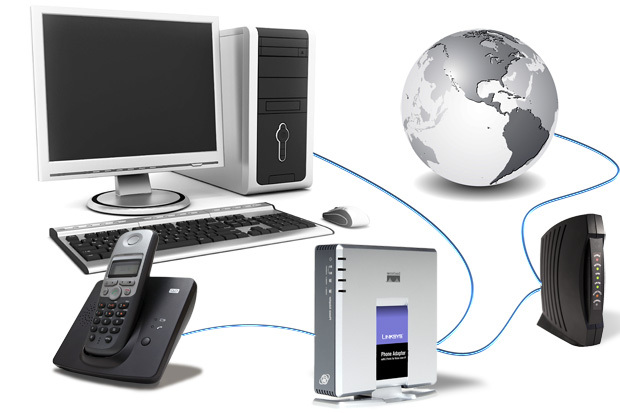 VoIP Singapore is an amazing technology that shows great potential in reshaping the traditional telephone networks not just here in Singapore but in the entire world as well. It is even seen in the next decades to replace conventional telephone lines because of its obvious benefits of being cost-efficient and more convenient. Its ability to make and receive calls from wireless hotspots, such as cafes, hotels, and airports is of great benefit for individuals who are always on the move.